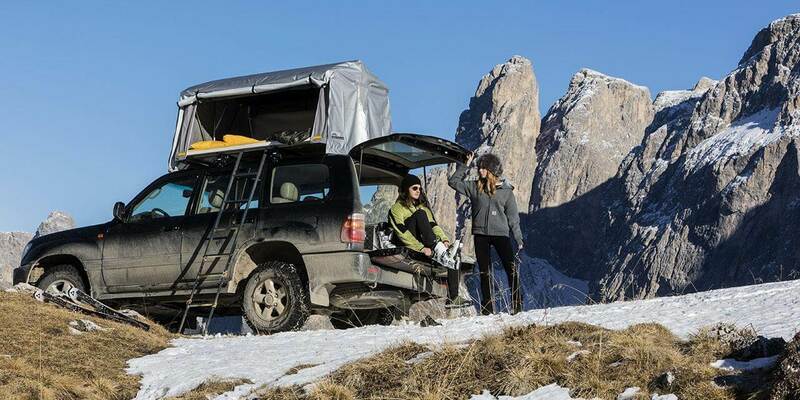 Self contained, easy and quick to assemble, it makes your holiday, weekend or adventure trip even more comfortable without impeding your freedom of movement. • The Verandah, totally self-contained for a comfortable stay. • Winter hood made of nylon fibre, it is an invaluable protection against the cold and wind. • Feet, for placing Overcamp on the floor. 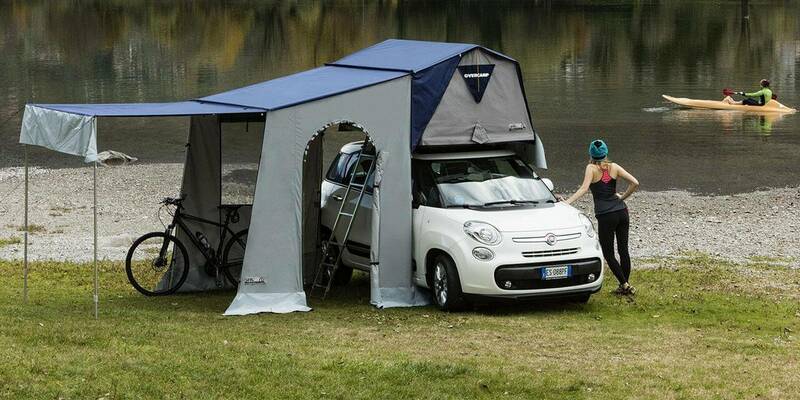 • Awning, very useful for a short break. 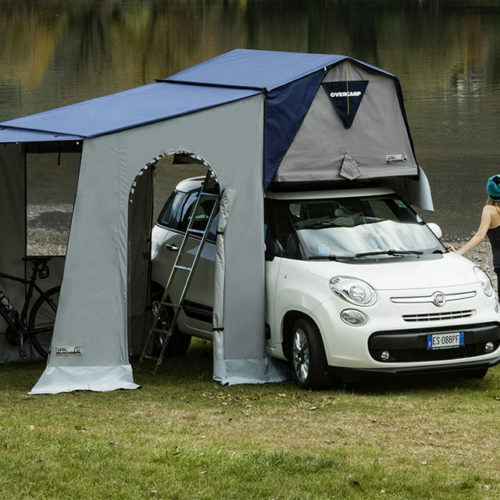 roof-bars, space saving garage storing rack, PVC mats, bike and surf/kayak racks. Quick and easy to assemble. It is very versatile with openings fitted with two-way zip fasteners on all sides. 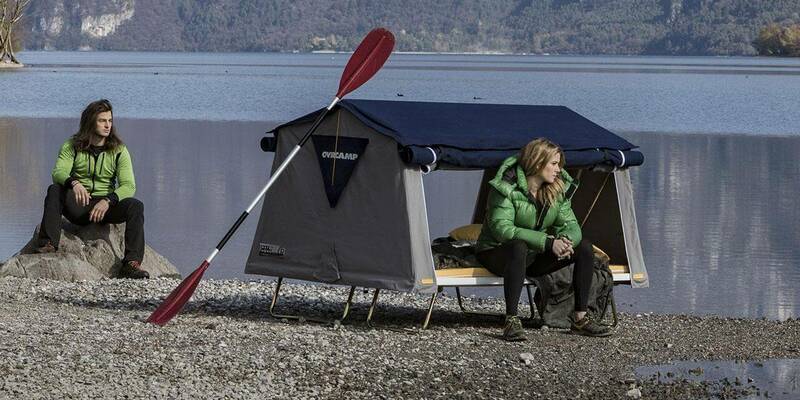 Used with Overcamp, it transforms it into a traditional camping tent with day and night areas. 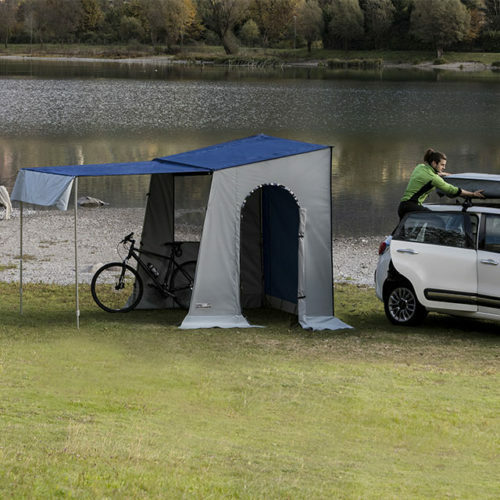 Triangles of series with zip to attach the verandah to Overcamp on the floor, another option for a really comfortable holiday. The framework is constructed from round anodised aluminium poles. A large and functional awning attached to Overcamp by means of a zip fastener, its self-contained strong structure provides extra protection from the sun and rain. Roof: 200 x 170 cm. Four strong feet to enable you to place Overcamp on the floor if desired. Approximately 25 cm high, they keep you a safe distance from humidity, water and insects. Foldable and clutter free, they can remain attached at the base while in transit. 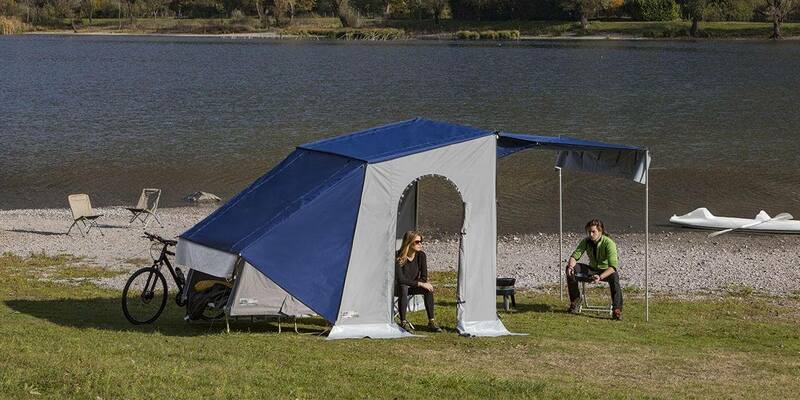 Made of resin blonded nylon fibre and aluminium powder, it is an invaluable protection against the cold and wind. Extremely useful for travellers going North. 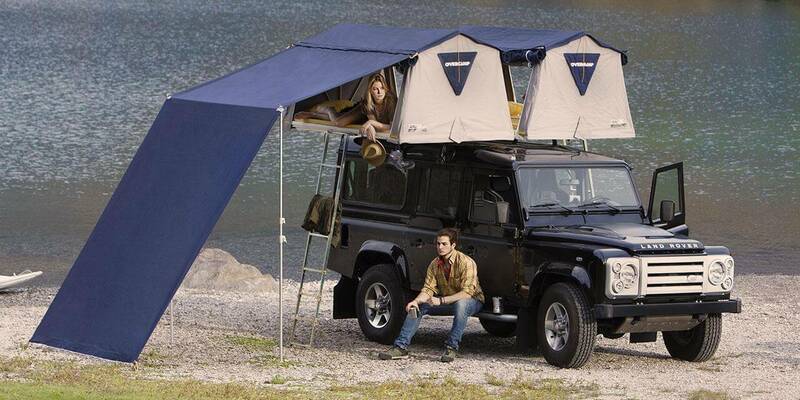 Very quick and easy to fit, it can be left on even when Overcamp is closed.